Victims of catastrophic accidents generally need costly long-term medical treatment, and in some cases, they die during treatment. Ask for help to Jed Kurzban. 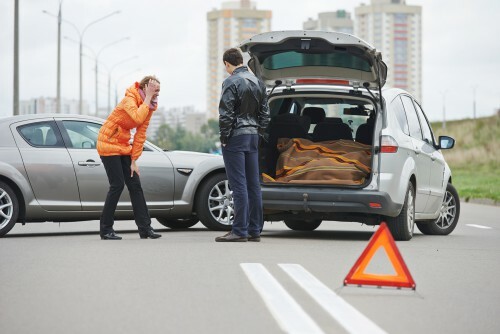 Car accidents are some of the most traumatic events in a person’s life. They can leave people physically and emotionally scarred for life. Even when there isn’t significant physical damage, the stress associated with the accident can linger even years after the accident occurred. This is particularly true for victims suffering traumatic injuries, which can change their lives forever. Victims of catastrophic accidents generally need costly long-term medical treatment, and in some cases, they die during treatment. The last thing on the mind of these victims or surviving family is money but at the end of the day, they realize compensation is a necessity. Also, it is important the responsible parties are held accountable for the accident and stop hurting other innocent people. Some families can be awarded millions, depending on the type of injuries sustained, damages, and parties involved in the accident. Most car accidents involve some type of damage yet there is a few that leave the victims so injured that they can never fully recover. These categories of accidents generally involve high speeds. The most common injuries include amputation, paralysis, brain damage, severe burns and loss of hearing. In some cases, these accidents can result in spinal cord injuries and brain trauma. The spinal cord is particularly delicate so it can suffer severe trauma, breathing problems, and the loss of motor skills as well as cognitive function. Brain trauma generally occurs when an object penetrates the skull. Unfortunately, vehicle accidents are the second cause of traumatic brain injury, according to recent studies by the Centers for Disease Control and Prevention. In most severe cases, the victim is left in a vegetative state or remains with a severe mental illness that makes it impossible for them to go back to work. While it is true money will never make up for the loss of your loved one, it can help your family through these trying times. Hawaii catastrophic injury attorney Jed Kurzban has decades of experience handling vehicle accidents that involve severe injuries. We understand catastrophic injuries can have a devastating impact that your loved one may not able to recover from unless you hire adequate legal representation to cover damages associated with the accident. It is never too late to ask for help. Call us today and we will take a closer look at your circumstances in order to determine whether you have a case.